is an obligation of the bank that issues an LC (Letter of Credit) to pay the LC amount to the seller of the goods if he submits to the issuing bank the documents listed in the LC in compliance with the terms and conditions of the LC. It helps to reduce risks. It helps to avoid payment in advance. It allows the user to obtain financing. It allows the user to do business in riskier regions. Sellers who want to avoid the possible risks of the issuing bank or its country of location should always ask for the confirmation of the LC by his own bank. By confirming LC the confirming bank undertakes to effect payment in case letter of credit complying documents are presented to the bank, no matter if payment is effected by the LC issuing bank. may show it‘s name and address instead of the LC applicant, i.e. may become an LC applicant. The transferable LC allows for intermediating major goods transactions with minor investments. The supplier (= the second beneficiary) has to fulfil the terms and conditions of the LC and submit the documents. The intermediary (= the first beneficiary) replaces only the invoice and bill of exchange of the second beneficiary (increase by its commission/profit) upon the arrival of the documents at the transferring bank. If the terms and conditions of the LC allow for partial consignments, the LC can be transferred to several second beneficiaries (not exceeding the initial amount or quantity of goods). A standby letter of credit is, in essence, a guarantee. This means that the benefi ciary demands money only if the applicant fails to perform its obligation, e.g. does not pay for the goods if the applicant is the buyer. In order to receive payment under standby letter of credit it is usually sufficient to present a copy of unpaid invoice and the seller’s claim for payment to the bank. Transport documents are rarely requested. More information on standby letters of credit can be found in the guarantees section. Letter of credit with deferred payment undertaking is an opportunity for the buyer to sell the goods first and than pay to the seller, i.e. seller gives a credit to the buyer. Possibility to take advantage of discounting under received letter of credit. Further information on discounting could be found here. Seller’s bank sends the documents to buyer’s bank. Buyer’s bank checks the compliance of the documents against letter of credit terms, effects payment under letter of credit and hands the documents over to the buyer. In case documents do not comply with letter of credit terms, payment under letter of credit is effected only after receipt of the buyer’s approval for payment. * The obligation under documentary credit commission is applied if the documentary credit issue is not secured by a cash collateral. Cash collateral is not interest bearing. 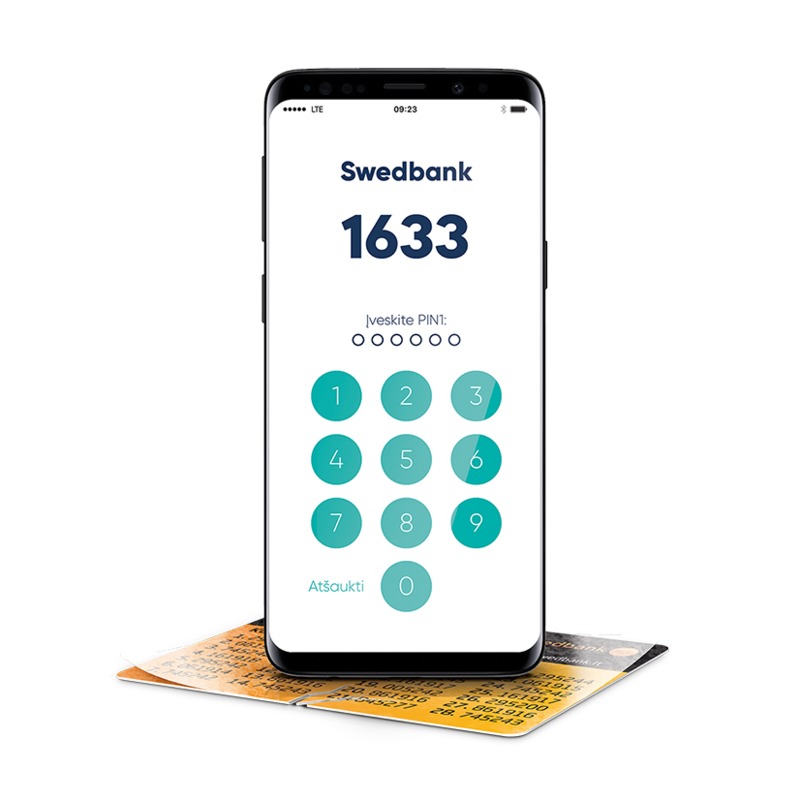 ** If Swedbank, AB is the issuing and advising bank of the same documentary credit, and documents are presented directly to Swedbank, AB, the fee for checking of the documents is 0.1%, min. EUR 43.44. *** This fee is not applicable if the documents are paid up prior to maturity. **** If the documentary credit is issued/advised, the fees applicable to documentary payments and guarantees under the clause “Documentary Credits” will be decreased by this fee. – buyer‘s bank obligation to pay letter of credit (LC) amount to the seller of goods after he ships the goods and submits to the bank the documents required by LC in compliance with the LC terms and conditions. What documents must be submitted to the bank for LC issuance? – buyer has to submit to the bank filled in and duly signed application to issue LC, has to provide pledge and pay LC issuance fee. Link to LC application: https://www.swedbank.lt/files/paraiskos/prasymas.pdf. Pledge under LC could be a cash collateral and/ or any other assests acceptable to the bank as a pledge (real estate, land, equipment etc.). Bank does not issue LC without pledge. LC related fees and commissions can be found here. How long does it take for a bank to issue LC? – bank issues LC within one working day after filled in and duly signed LC application is submitted to the bank, pledge is provided and customer has enough funds to pay LC issuance fee in his bank account. Is there a possibility to cancel issued LC? – LC is an irrevocable payment instrument (if not stated othervise), therefore may not be cancelled without beneficiary‘s written concent. What kind of documents must be submitted to the LC issuing bank for payment? – seller (exporter) has to present documents required by the LC. Before the issuance of the LC buyer and seller have to agree on the documents to be required by the LC. Usually LC askes for the commercial documents such as: commercial invoice, shipping document, various certificates (origin, quality etc.). When payment under LC is effected? – payment under LC is effected as soon as seller (exporter) ships the goods and presents to the issuing bank documents required by the LC which are in strict compliance with LC terms and conditions. In case issuing bank finds any discrepancies in presented documents payment is effected only upon buyer‘s (importers) consent with such discrepancies. Payment under LC may be effected upon presentation of documents (at sight) and on certain deferred payment date set for by the LC. How can seller (eksporter) receive LC issued by the buyer‘s bank? – seller (exporter) should indicate his bank swift code to the buyer. As per buyer‘s (importers) request, buyer‘s bank issues LC and advises it to the seller (exporter) through seller‘s bank via swift. „Swedbank“, AB swift code - HABALT22. What are LC related costs? Which LC party is liable for those costs? – usually LC related costs are split between the seller and the buyer so, that each party covers their bank related costs. In case of agreement all LC related costs may be covered by one the the deal parties. Link to „Swedbank“, AB LC related fees and comissions. Payment under letter of credit is effected upon presentation of documents asked for by letter of credit to the bank and does not have any connection with underlying goods, therefore (i) pay attention when setting up letter of credit terms, and (ii) there is always a risk that seller could ship goods of different kind or quantity. Letter of credit is not bound by the underlying contract, therefore in case there are any changes in contract, respective changes in the letter of credit terms are to be made as well.